After the sudden resignation of the previous deputy city clerk, the City Council on Tuesday night appointed Jacqueline Murray to the post. Murray, who has been working as a clerk at the City Clerk’s Office for six years, according to municipal records, was appointed in a 7-1 vote. William McKoy, 3rd Ward councilman, nominated Murray for the position while Luis Velez, 5th Ward councilman, nominated Wanda Santiago. Murray’s resume states she has been working at the City Clerk’s Office as an administrative secretary since 2010. She previously worked as an office manager at the Law Offices of Errol Hall in Jamaica from 1988 through 2006. She attended University of West Indies in Jamaica and the Passaic County Community College, according to her resume. 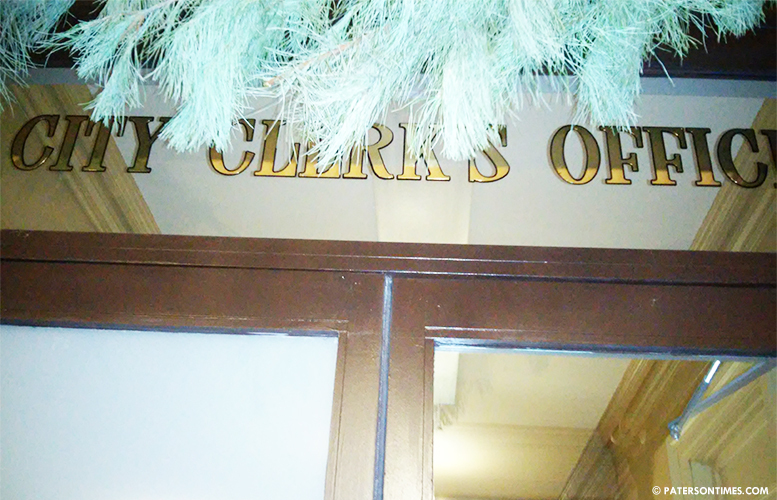 Murray has handled elections and open records requests at the City Clerk’s Office over the past years. Murray is replacing Joan Campbell-Douglas, who unexpectedly resigned from the post, citing “personal” reasons. Campbell-Douglas requested she be moved as a secretary to the City Council Office in her resignation letter. She made $72,000 as deputy city clerk. Murray, who lives in Paterson, makes $38,000 as a secretary at the clerk’s office, according to municipal records. Some council members praised Murray while casting their votes in favor of her appointment. 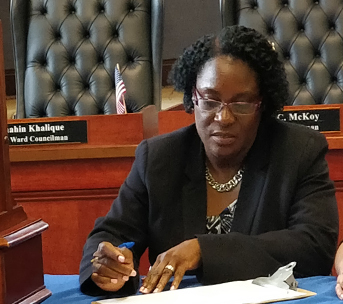 “Having been here for the last six years, working with Jackie Murray, I find that she’s an excellent choice,” remarked Ruby Cotton, 4th Ward councilwoman. Velez was the sole vote against the appointment. He said either of the two women were qualified for the post. Santiago worked as the municipal clerk of Prospect Park in 2002, according to her resume. She’s a registered municipal clerk.